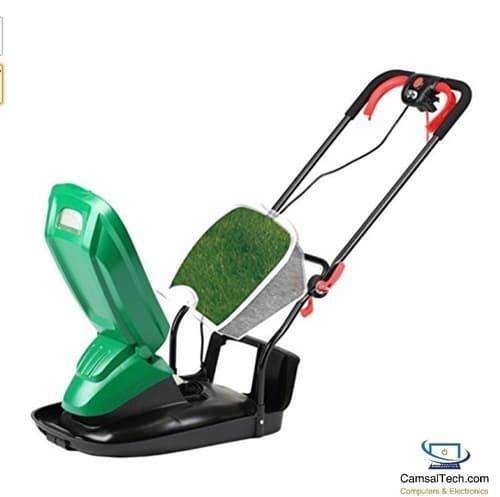 This is our detailed review of the highly buyer rated Qualcast Hover Collect Lawnmower. This hover mower came out as the number one buyer rated hover mower, that is currently available in the UK. The brand is of course a well known brand in the UK, and they are known for making high quality gardening tools, especially their lawnmowers. Qualcast are now owned by Bosch who quite wisely let the Qualcast name on their products. Most hover mowers have a price of around £70-80 but this one has a higher price of very close to £100. Although more expensive, it did get the highest overall buyer rating, when we completed our top 5 list of hover mowers. Just below we have included what we believe to be the most important features of this Qualcast model. Many buyers turn to the Flymo brand when they are thinking of buying a good hover mower. That is because that is the most recognised brand for this type of mower, and most of their models are cheaper than this one. If you don't mind spending some extra cash on this Qualcast one, then according to the vast majority of buyers, you will not be left disappointed. It is worth noting though, that at this stage, and having read over 100 buyer reviews, not one single buyer has left a bad review. Around 2/3 of buyers gave this the full 5 star treatment, and the remaining third rated it higher than an 80% satisfaction rating. That is unusual thing to notice and is a good sign if you are considering buying this one. One of the main problems with any type of hover mower is that they don't have wheels because they use air to make them hover. While the hovering is great, it only works when the mower is switched on. If you need to move the mower from one place to another, you have to lift it and move it. If you are going across a hard path or a gravel path, trailing it will damage the mower. It is important therefore for these to be light enough to move around easily. Buyers say that this one is light enough to be able to do that. There will of course be some exceptions depending on the strength of the individual. This Qualcast hover came out as the number one choice in our top 5 list of hover motors, thanks to an impressive 92% buyer satisfaction, and also to the fact that as of yet, there are no bad reviews about this mower. Buyers clearly like this one a lot after they have bought and used it. Many of those buyers had always used some type of Flymo, but were willing to make the change. This Qualcast has a powerful motor and the choice of cutting depths is very useful. Buyers stated that it worked well on gardens with slopes and also on longer grass. 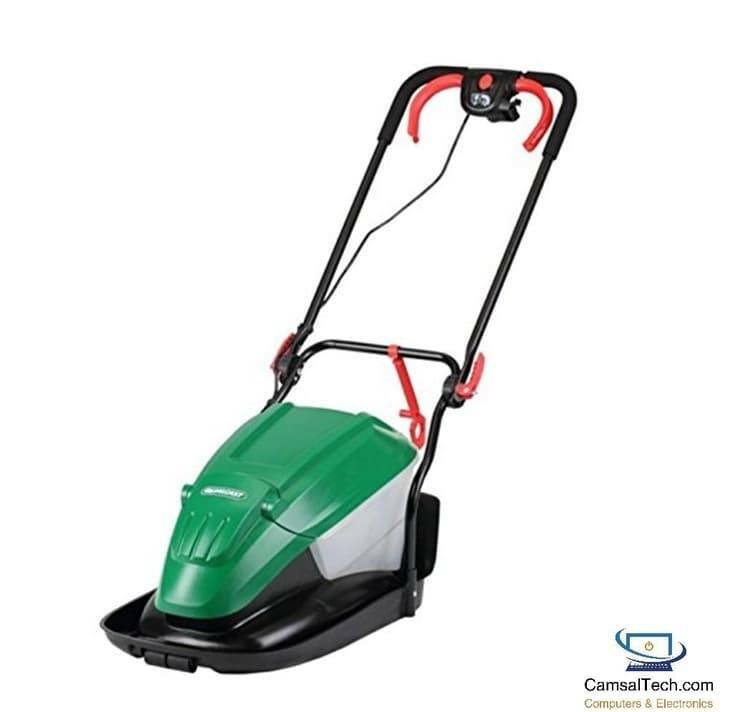 It is light and stores away easily, and again almost every buyer said that this particular mower was very easy to clean. The only thing that may put a few people off is the higher price point, and this is one of the more expensive options. That said, we think that this is worth the extra investment, as it is good quality and has been built to last.